Honey bees belong to the genus Apis mellifera Linnaeus. They are distinguished by their ability to produce and store great quantities of honey and also make their nests from wax. Their products are exclusively derived from the nectar, pollen, or resin from plants. In fact, plants need bees as much as bees need plants, and mankind desperately needs both the bees and the plants for our survival. Apis mellifera and its symbiotic relationship with both plants and people is an integral part of herbalism. Honey is made when after having ingested plant nectar the bees store it in their honey stomach. Yep. They have two stomachs! One for nectar and the other for food. Once its nectar stomach is full, the bee flies back to the hive and passes the nectar off to other bees which then digest it with enzymes and filter out most of the pollen. When they are done passing the nectar between each other and processing it it is stored in honeycomb cells, like little tiny jars all with their lids off. Next, they use their wings to fan the honey until it evaporates to a 18 percent moisture content. 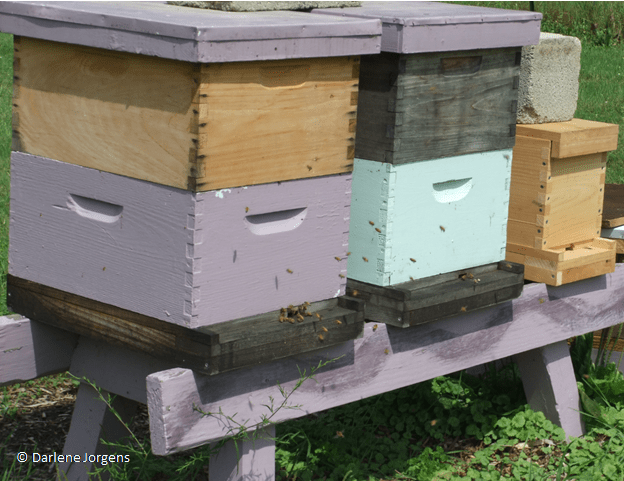 Finally, once it is completely transformed from nectar to honey, they cap each cell with wax. Industrious creatures that they are, and unlike any other insect, they store up honey far beyond what they need, just as a billionaire socks away money in the bank. This propensity to store up honey benefits both the plant and animal kingdoms. A wise beekeeper will not extract too much honey from the hive. It is important to leave enough “canned goods” for the bees to survive the winter and early spring. In the past 100 years or so, along with the commercialization of the honey bee and their products, industry has deliberately enlarged the honey bee by increasing the size of the cell within the comb. Greed is the motivation behind the thought that a larger honey bee will produce more honey. 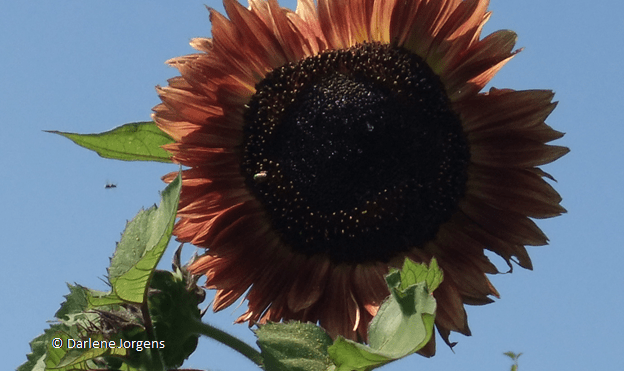 This enlargement has weakened the honey bees’ resistance to disease as well as pests. It is so common throughout the industry that it is not even mentioned in ‘beekeeper school.’ One just gets a list of chemicals to deal with the deleterious effects of the enlargement which include greater susceptibility to disease and pests like the Varroa mite. In a quest for more natural beekeeping methods some beekeepers are turning to the use of essential oils in the hive to control disease, etc. While essential oils are more acceptable from a consumer standpoint they are disruptive to the microbiome of the hive. The answer for the problems caused by unnaturally large honey bee size is to allow nature to restore itself to the correct natural size. To accomplish this the beekeeper will use what are called ‘Natural Cell Size’ techniques. This is the process to reduce the size of the bee by allowing them to draw their own comb and hatch out the next generation of smaller bees. It takes about two generations of bees (bees generally live about 6-8 weeks) to complete the two life cycles it takes for bees to draw the comb twice (smaller each time.) Basically, a smaller cell size produces a smaller bee. It is amazing that the honey bee instinctively knows the size to draw its comb to “fit” properly. How awesome for nature to have the capacity to correct itself. What should someone look for when selecting a honey product? This is an important question because we really do want all of the natural goodness of the honey! Raw, Unfiltered, and Chemical Free! RAW – “Raw honey is noteworthy for having considerable plant amylase. The amylase does not come from the bee but is a true plant enzyme, concentrated from the pollen of flowers. . .”1 Amylase begins the process of digestion even before food hits the salivary glands. Raw honey is full of enzymes, nutrients and antioxidants which are destroyed by high temperatures. Most commercial honey sold in stores is pasteurized at high temperatures to keep the honey from crystallizing. To reverse the crystallization of unpasteurized raw honey, simply warm up the jar slowly in warm water. Tip: Don’t add honey to hot tea, rather, add it to warm tea 104 degrees or less to retain the honey’s nutritional value. UNFILTERED – All honey is “filtered” in the sense that it passes through a large mesh screen. After all, no one would want to eat it if they saw bee legs and wings floating around in it. The term “unfiltered” as it relates to the commercial processing of honey means that it has not been forcibly “pressed” through a tight filter which heats the honey and destroys nutrients, in addition to filtering out any beneficial pollen it may contain. Honey should only be run through a large filter with no added pressure to remove debris. LOCAL(?) – Well, that depends. If the local beekeeper is attempting to raise their bees naturally, then by all means support them! However, if you are ingesting “local” honey because of the popularly-held belief that the pollen content in “local” honey helps those suffering from allergies you may want to reconsider. Actually, there is very little pollen in honey as the bees filter out all of the largest particles when they process honey. There is pollen dust always floating throughout the hive and those particles will stick to the uncapped honey that is dehydrating. Yet it is a very minute amount. Therefore, it may be of greater importance to ingest a honey that is free of chemicals than it is to ensure a honey is sourced locally, unless it meets your high standards. If someone is desiring seasonal allergy relief they should be directed to use the honey bee product that will produce the best result, either bee pollen or bee bread. We will discuss these more in depth in Parts II and III of the Products from the Hive series. For those who purchase commercial honey, please take time to read the label. It is not uncommon to find pasteurized honey, filtered honey, and honey cut with corn syrup, among other ingredients. The regulations of the country of origin determine whether honey may be cut with high fructose corn syrup, and/or made by bees who have primarily been feeding on high fructose corn syrup instead of nectar. For instance, it is possible for honey to originate in one country, become contaminated with sugar and/or heavy metals, sold to another country for processing and cut with corn syrup, and then resold to the U.S. to be packaged and distributed. Because the packing occurred in the U.S. there will not be any indication on the label of additives or processes that occurred in other countries. Such “honey” will be lacking in any flavor other than sweetness, will not have the aromatic floral compounds derived from flower nectar, and have potential devastating toxicity. Organic certifications are difficult to obtain in this polluted world and because of the difficulty are expensive for the consumer. The remote areas are not very “local” for most people. Honey bees are known to travel over three miles from their hive in search of pollen and nectar and are indiscriminant about the plants they draw from. One’s best bet is to find a source free of chemicals, additives, antibiotics, pesticides, herbicides, artificial colors, flavors, and pollutants to ensure you are using a very high quality honey. Whenever we use herbs medicinally, they MUST be organic or wildcrafted. We cannot expect the body to heal itself when we add more toxins to it. Make sure your selection of honey is the highest quality for your remedies! Nutritionally, honey is made up of 35 percent protein, may have some B-complex vitamins (mostly from the dusting of pollen it receives while dehydrating in the hive before it is capped.) Other vitamins in honey are C, D, and E, along with traces of minerals. It is not a high source of nutrients so it should not be relied upon for such. As a sweetener preferable to sugar, “Honey is approximately 40% fructose, 31% glucose, 18% water, 9% other sugars, and 2% sucrose”2 which compared to white sugar has a more stabilizing effect on blood sugar. Still it is very high in sugar content and should be used sparingly. Keep in mind that honey is twice as sweet as sugar. Typically, honey consumption will raise blood sugar for the diabetic for a period of two hours, instead of the six-or-more hour insulin spike caused by processed sugars. A word of caution. Do not feed or recommend honey to infants under one year old. They do not have enough stomach acid to safely process spores such as Clostridium botulinum (Botulism.) Honey is safe for children, adults, and babies after age one. Beyond the familiar culinary use, honey has been used in beauty products from lotions and honey masks to creams. As a medicinal, honey has antioxidant, anti-bacterial, antiseptic, anti-inflammatory, and demulcent, and emollient properties. 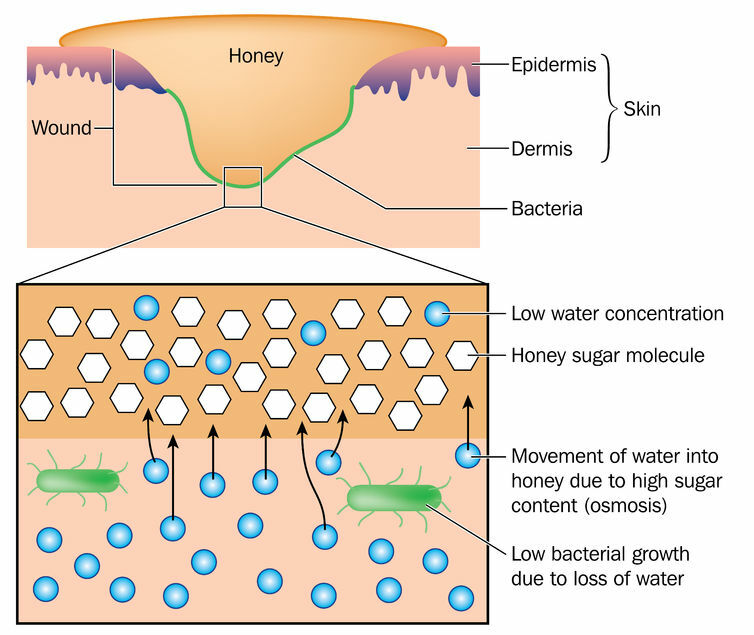 The action of honey on bacterial growth, reducing wound infection by osmosis. Honey is one of a number of corrigents, meaning “corrective” as it can rectify a bad flavor and counteract a disagreeable effect. Honey can be used alone as a corrigent because by itself it is altering or healing. Amish “Miracle Tea” – Make with the non-caffeinated herbal tea of your choice. It consists of 2 teaspoons honey and 2 teaspoons apple cider vinegar added to a cup of herbal tea. The tea can be made in advance, refrigerated, and then used one cup at a time internally or even applied externally. Just add the honey and vinegar to the tea at the time of use. Sleepy-Time Tea – As a sleep aid try drinking a cup of chamomile tea with a teaspoon of honey mixed in half-an-hour before bed. Both chamomile and honey have sleep-inducing qualities. For a deeper, more restful sleep add valerian root. Astragalus Root (Astragalus membranaceous) Restorative to immune function for those having chemo and chronic illness. Helpful in preventing common colds and respiratory infections. Elderberry (Sambucus nigra) Great support for colds, flus, and other viruses. Mild laxative and decongestant. Inhibits the spread of viral infections. Elecampane (Inula helenium) Helps clear phlegm and mucous from the lungs, urinary system, and the digestive system. Specific for chronic irritation and infection of the respiratory system. Great included in cough syrups. Ginger (Zingiber officinale) Enhances immune function, treats colds and flus, and viral gastroenteritis. Is antispasmodic, antiviral, and aids digestive, muscular, and menstrual associated pain. Lemon (Citrus limon) Fights colds and flus. A well-known Amish cough relief remedy is lemon juice and honey mixed 1:1. This does not need to be heated or reduced and can be taken completely raw. Sage (Salvia officinalis) Known to relieve congestion and hoarseness. Helpful for colds and fever. We would love to hear your comments and questions about honey. What is your experience using honey as a sweetener or as a medicinal? Maybe you’ll want to consider using this delightful honey bee healer in your herbal preparation project!